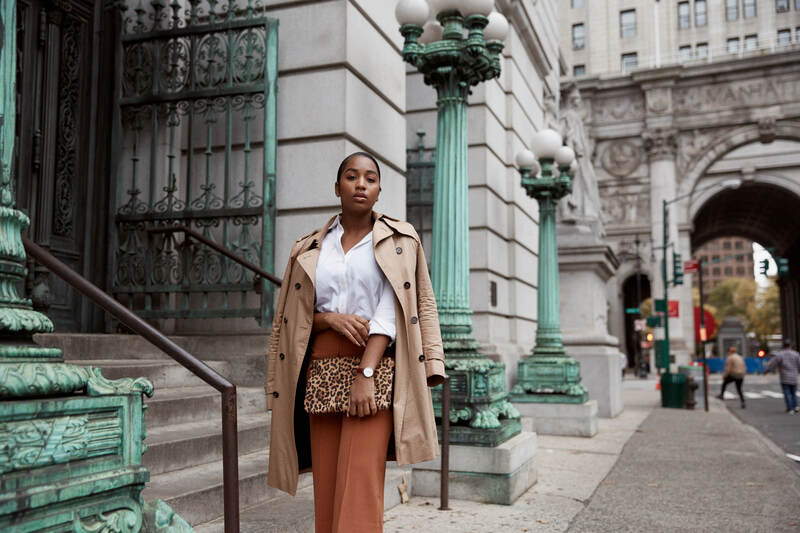 Nothing screams “Fall fashion” like neutral tones and animal prints, so I absolutely couldn’t resist creating a look that gave my personal take on these trends. I also wanted to use this as an opportunity to style my new leather watch band from Daniel Wellington. 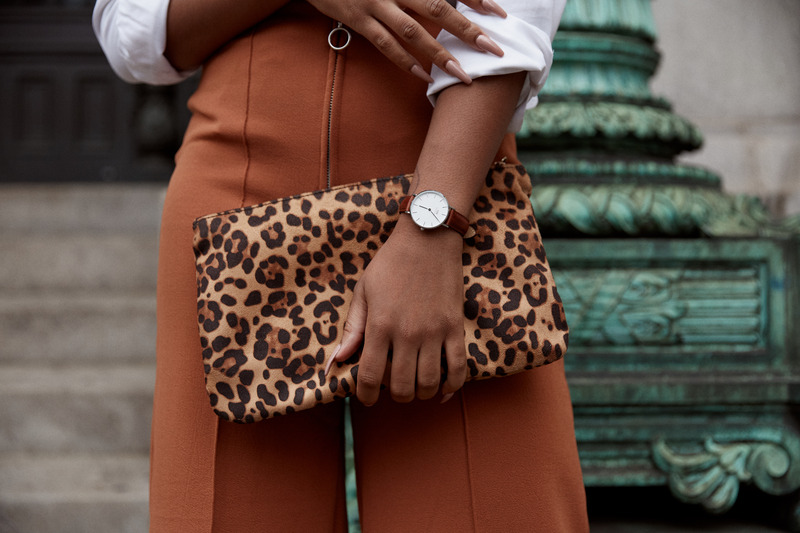 Upon seeing this stunning accessory on their website, I knew it would make for the perfect arm candy this Autumn/Winter season. Initially I was aiming to create a rather monochrome look, which I feel like I somewhat achieved but with a bit of a twist. 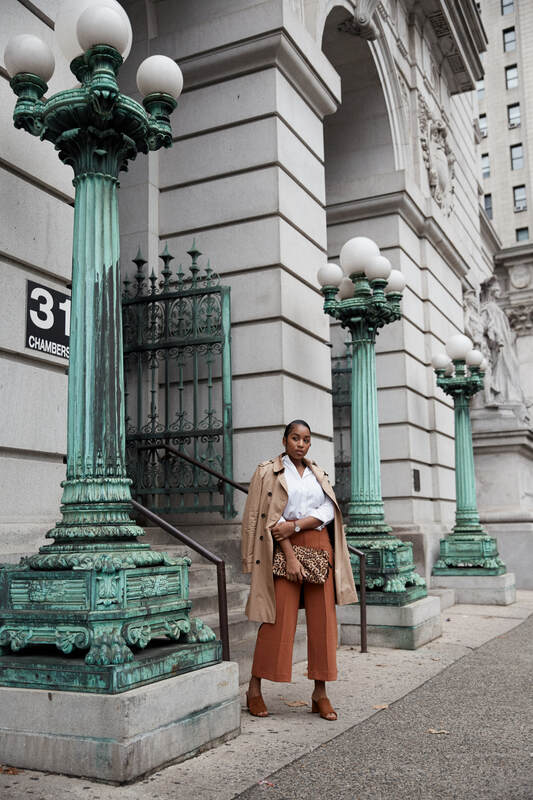 The next piece that really helped curate this look for me, were these amazing pumpkin colored culottes. The silver ring zipper detail on them perfectly highlighted the watch and meshed effortlessly. 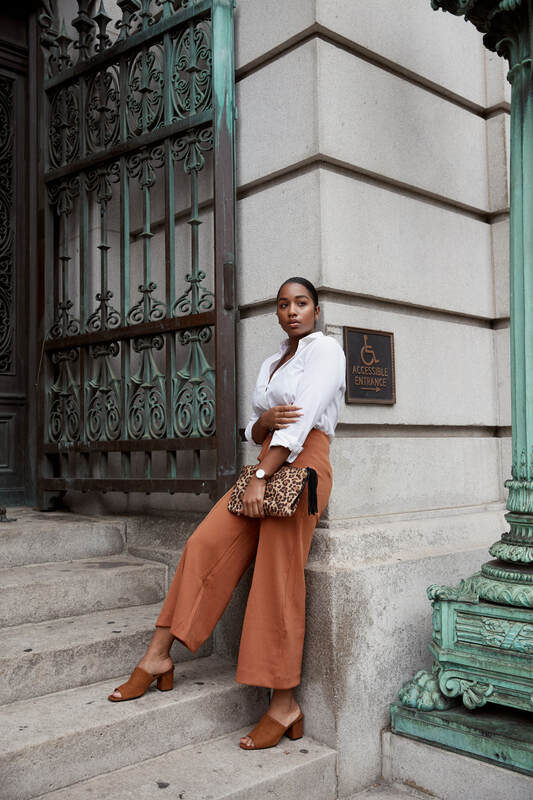 From there, I had a bit of difficulty choosing a shoe but in the end decided on a pair of brown mules which couldn’t have been more perfect for this casual yet chic look. 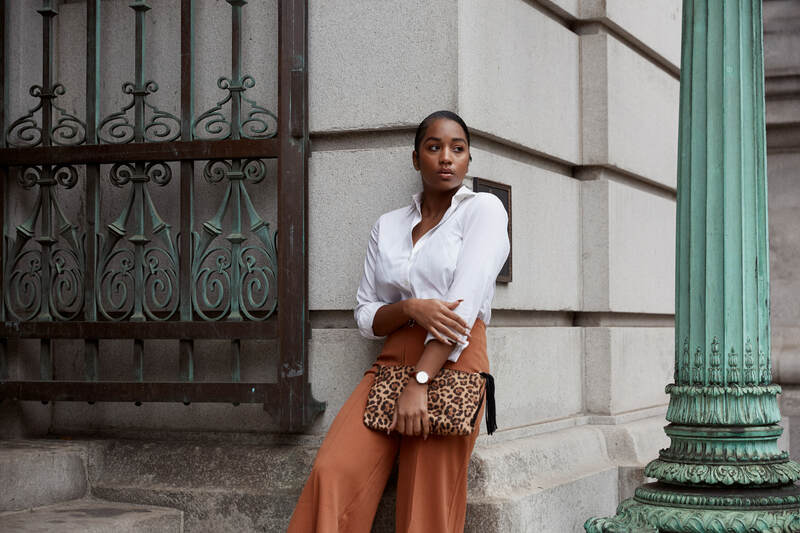 To tie up the bottom half of the outfit, I stumbled across this leopard print clutch which I received as a gift from another purchase and had totally forgot about! 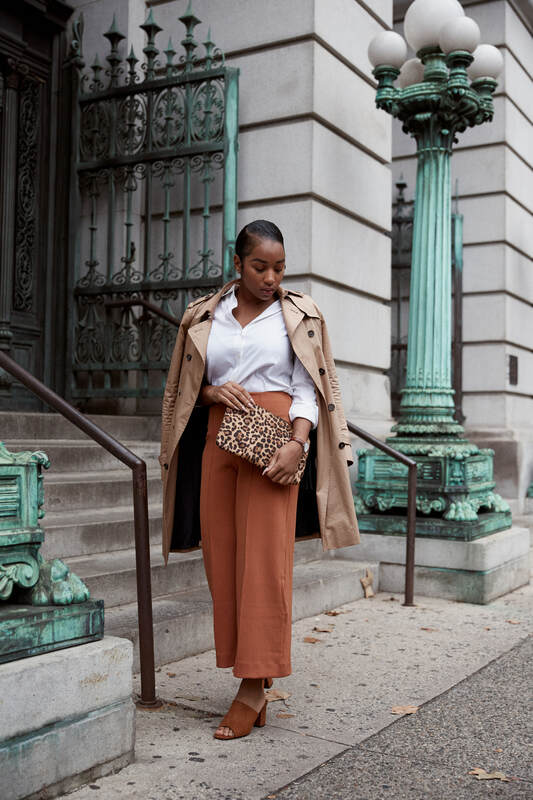 This bag allowed me to fuse all of the warm tones I currently had paired together without having any of the pieces clash. 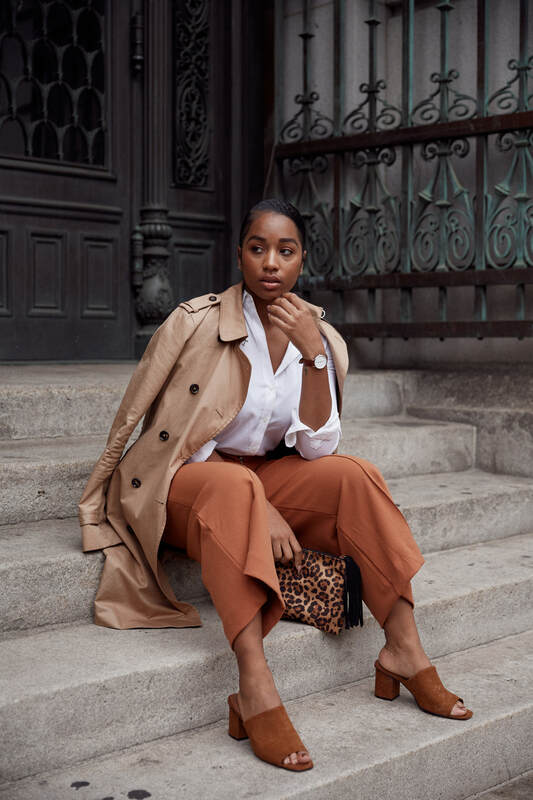 In efforts break up the warmth as Fall annually does, I added a white button down to the mix to give the look a more classic element while still emphasizing the stark face of the time piece. 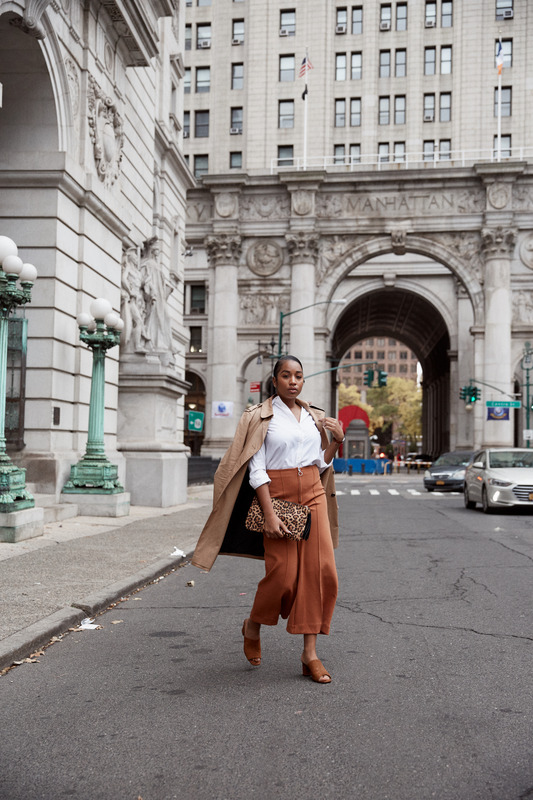 At this point, all there was left to do was grab my trench coat and head out the door! 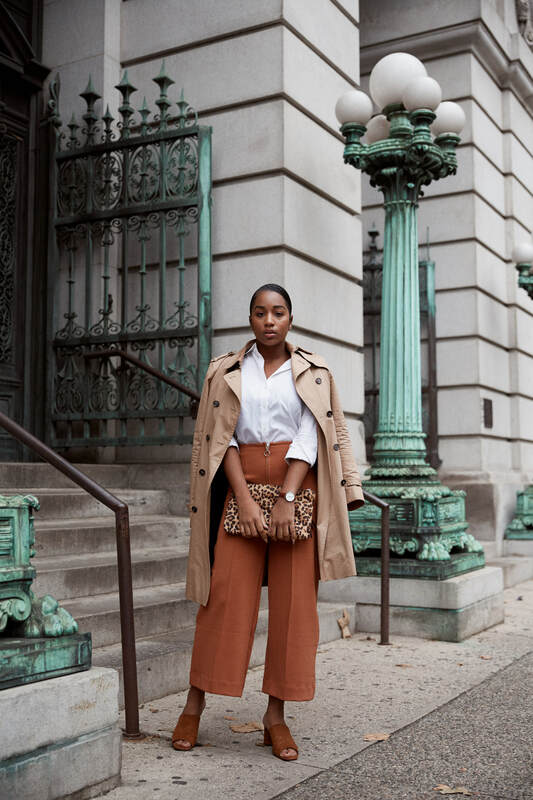 This ensemble really got me excited for all of the Autumn looks I plan to style this year, so if you have anything in particular you’d like to see leave a comment below! 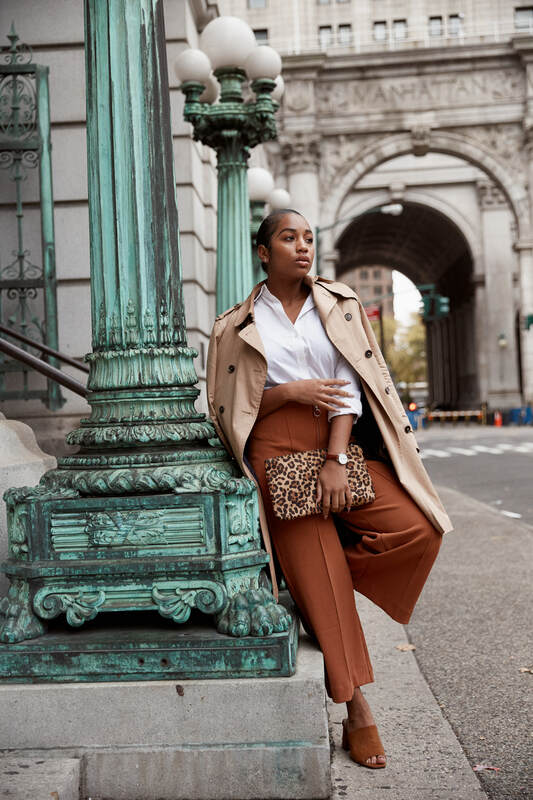 Lastly if you liked the watch that I styled, there will be bundle deals from 11/1-12/31 in addition to my personal 15% off code: ASTYLEDMIND that can be used on Danielwellington.com. Happy shopping! BEAUTIFUL!!! Love those colors together.